CBS can eat a bag of dicks. Come on, guys. Literally every other channel is making a ton of money off science fiction shows right now. Except you. Blaming the genre is just sad. Scifi is not something that has traditionally done really well on broadcast. It’s not impossible, for the future, if somebody figures it out. 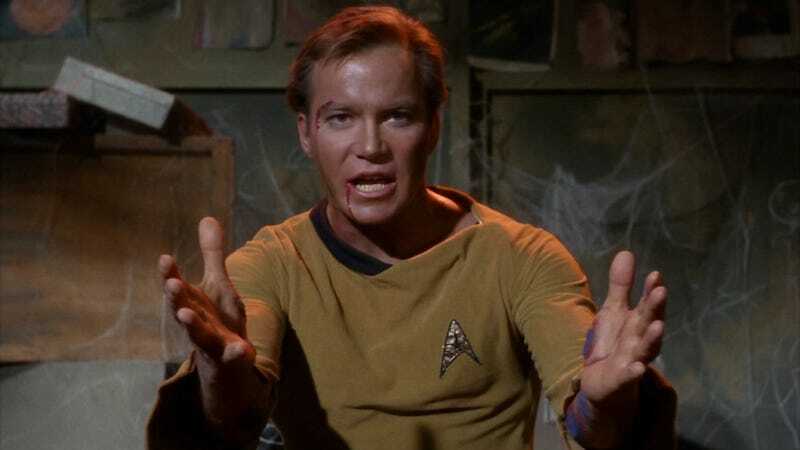 And things like Lost and Heroes have had parts of, you know, scifi, but historically, a show like Star Trek wouldn’t necessarily be a broadcast show, at this point. And so, you kind of look at the other networks we have, CW and Showtime, it just fit the with the digital audience and having that digital Star Trek audience. That “historically” sentence is a grammatical and logical nightmare, but I think he means that Star Trek: The Original Series wouldn’t be on a broadcast channel if it were made today. Also, claiming that Heroes only had “parts” of scifi is downright hilarious. I will grant him that basic and premium cable channels have had more success with science fiction than the broadcast networks. And that Star Trek did not do well in its initial run. Most networks can’t bet on making money from syndication anymore, either. The most generous reading of Lanzone’s words is that he means that CBS’ demographic doesn’t respond to science fiction, I’d buy that, even though Supergirl actually did fine on CBS. But he didn’t say that. He tried to say Star Trek just didn’t belong on broadcast television. You know, the place it has been for hundreds of years. However, all of that is an argument that the show might not belong on CBS, not that the best place for it is behind a paywall on the internet. Does he really think it fit there better than the CW, which is almost entirely genre shows these days? But that’s still broadcast. The network is also partnering with Netflix for international distribution—why not try to do the same deal Marvel’s made with Netflix? Lots more people would watch it there. But they want people to pay them directly. So why not Showtime? No, seriously, why not put it on Showtime? CBS is so bad at managing the Star Trek franchise, it’s almost comical.